Canon, as one of the few digital camera brands survived after decades, is still favored by thousands of photographers all over the world. Though premium Canon PowerShot and EOS DSLR can help us produce awesome works in image, it should not be forgotten that the biggest threat for Canon photographers is accidentally losing precious pictures or videos before making valid backups. Does the accident happen to you? Don’t worry. In this tutorial, you will learn how to recover deleted Canon photos and videos from memory card, USB flash stick and computer hard disk. When a file is deleted from the storage device, the system marks the original space of the deleted file as available for occupying by new data. 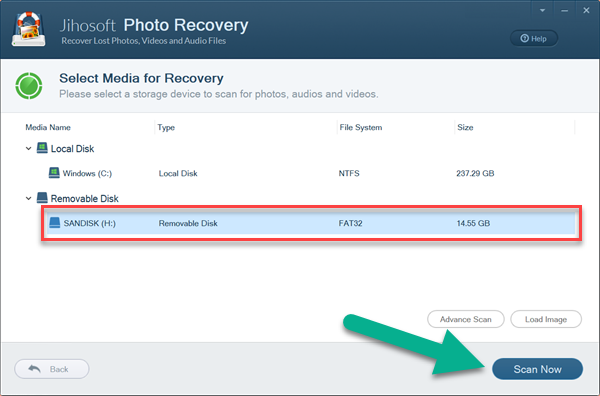 At this stage, the deleted file is invisible for users, but it is still able to be recovered with some measures. Stop using Canon camera memory card to avoid data overwriting. Perform Canon photo recovery with a qualified recovery software as soon as possible. The sooner you stop using the storage device, the better chance of successful canon photo recovery. Of course, it is also very important to choose an excellent Canon photo recovery software. Support all kinds of Canon digital cameras, including but not limited to EOS Digital SLR Cameras (EOS Rebel T7, 5D Mark, 6D Mark, 7D Mark), EOS Mirrorless Cameras (EOS R, M50, M100), Refurbished EOS Interchangeable Lens Cameras, PowerShot Point-and-Shoot Digital Cameras, etc. Support all kinds of memory cards for Canon cameras, such as CF card, SD card, SDHC card, etc. 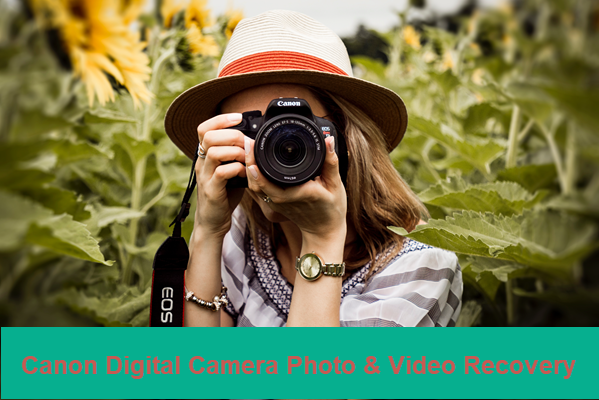 Recover both JPEG and RAW image formats, the latter of which contains CRW and CR2 formats exclusively for Canon cameras, as well as common video footages. Considering all the requirements, Jihosoft Photo Recovery is recommended for retrieving lost Canon photos, videos and audio files. Advance Scan allows selectively scanning for Canon pictures and videos by format. Preview feature allows full-preview for both photos and videos before recovery. Two preview modes make it possible to view both thumbnail and detailed information. Create Image function helps back up the whole structure and content of the storage device. Note: Please connect your Canon camera (with memory card inserted) to computer, or remove the memory card and connect it to PC via an SD card reader or special slot on the PC. Step 1. 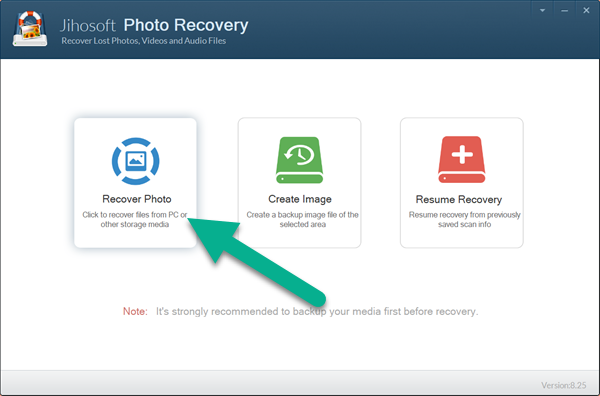 Run the Canon photo recovery software, then click Recover Photo option. Step 2. Select the partition of your Canon camera memory card, then click Scan Now. You can also choose specific file formats by clicking Advance Scan. Step 3. When the scanning is finished, preview the found photos and videos. Step 4. Select the files you need, then click Recover button to restore Canon photos. 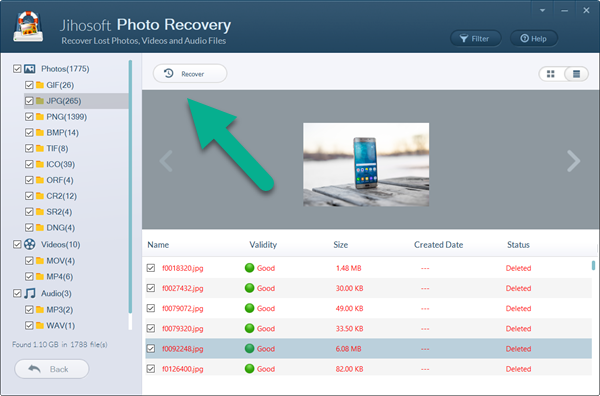 Once the recovery process is done, you will be able to open the recovered folder to check your Canon photos and videos in separate subfolders. In this tutorial, we have learnt about Canon photo recovery. Surely, this method also works for Nikon photo recovery and other digital cameras. It would be ideal if we always have a valid backup for lost files. However, there will be no need to be panic when accident happens in the future.